of Dalton where light is better in the afternoon; Ringgold has better lighting in the morning hours. 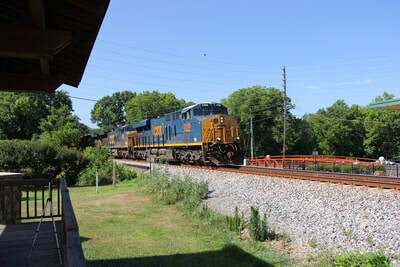 The viewing platform and park is located on the east side of the single track, and W&A depot. 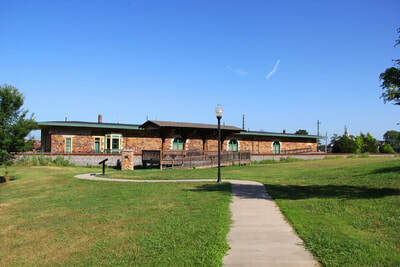 While the depot is not open for tourists, it is used as a local playhouse and for local events. The W&A depot building enhance photos as it provides a nice back drop. Visitors to the area should be sure to visit Dalton's train watching location, as well as the Tennessee Valley Railroad Museum just north in Chattanooga. 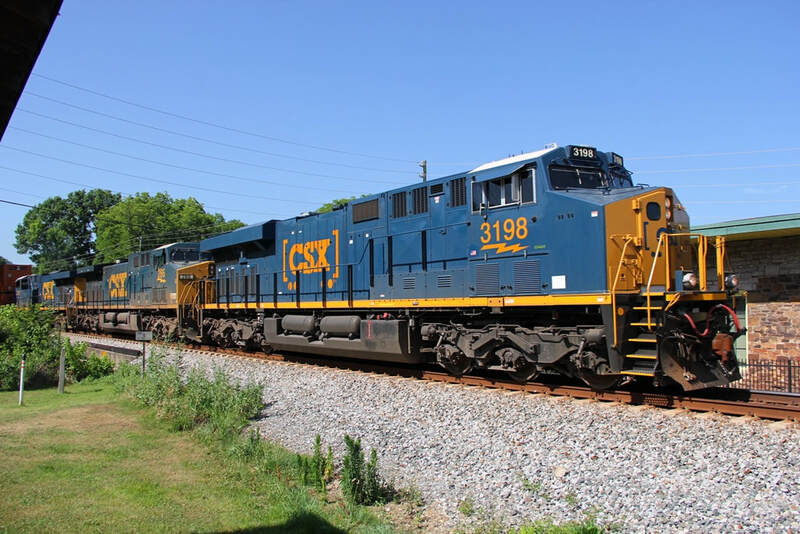 Rail Traffic: Expect less than 20 trains during a 24-hour period. This is the north/south CSX W&A (Western & Atlantic) Subdivision. Site Details: A new, well kept and well groomed train watching park. A cement walkway has been added between the parking lot and the pavilion. 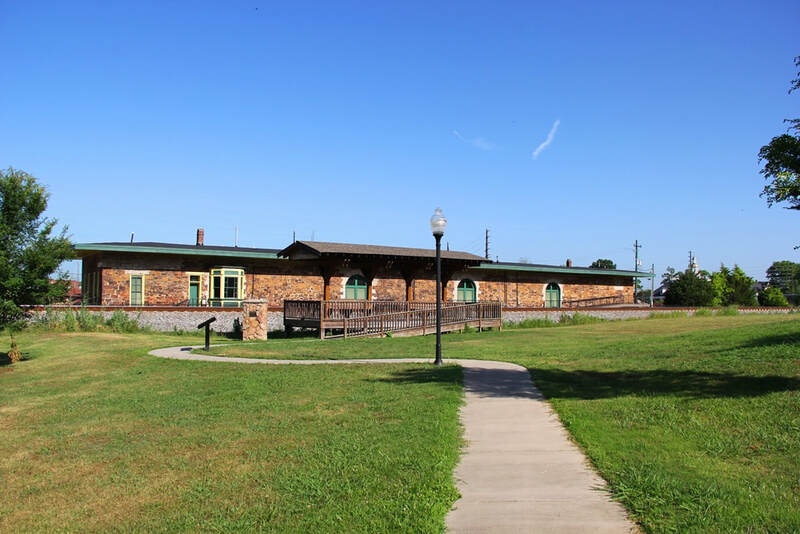 The covered pavilion features benches, lighting, and a radio scanner to tune into the local railroad chatter. Listen for the hotbox detectors; it will help you know when a train is approaching. The park consists of an open grass field. Picnic tables are also on site at the north end of the park. 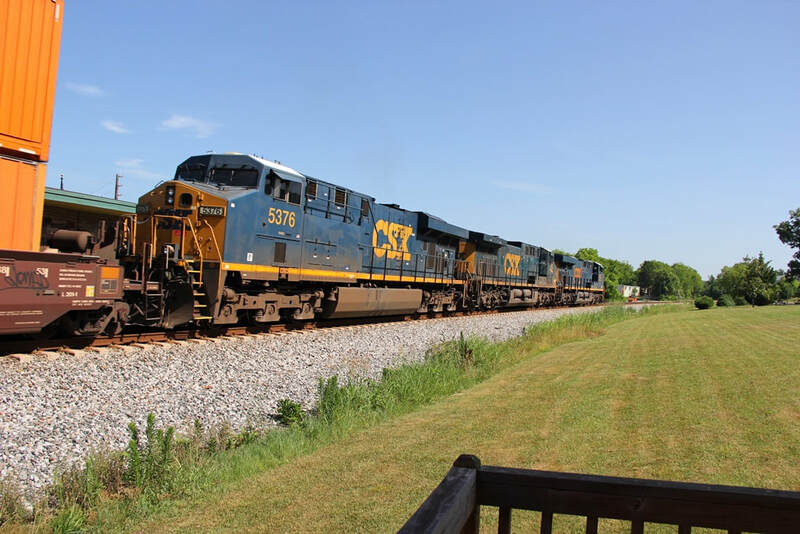 There is a grade crossing at the north side of the park, so bring your ear plugs as the horns can be loud while trains are passing. Food: A short drive north of the platform, there are several place to eat, and use a bathroom. 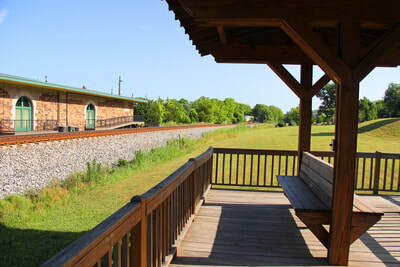 Picnic Area: YES, Picnic tables located trackside about 500 feet north of the platform. It's a smart set-up, picnic table guests are far enough away not to interfere with pictures / video that is shot from the pavilion. Parking: Free parking in the small paved parking lot. Scanner Frequencies: Road Channel 161.370; Dispatcher is 161.520. Motels / Hotels: Ringgold has a few motels located near the I-75 interchange, along with fast food places. 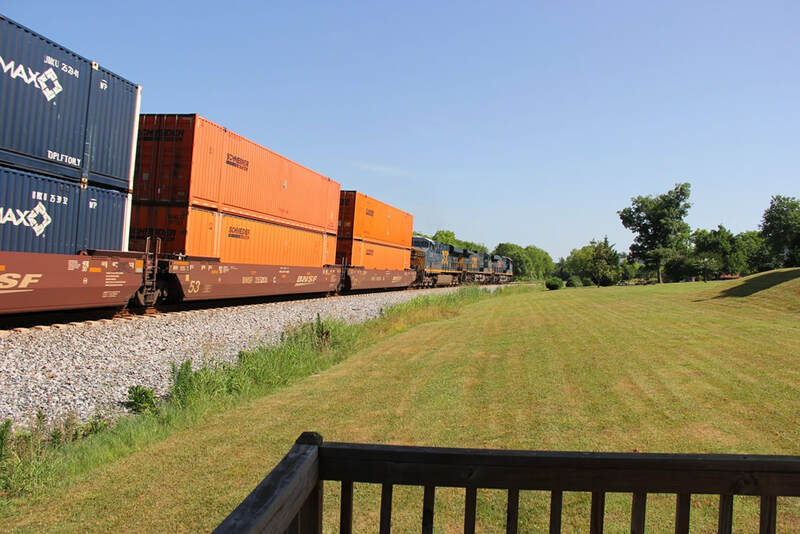 There are no railfan motels in Ringgold.